this summer will purely be a summer of code! 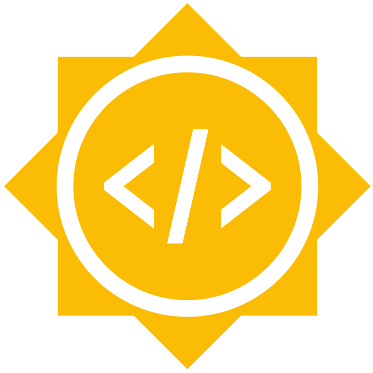 We are not only offering you Google Summer of Code (GSOC 2019, still open until April 9th), but also the European Space Agency’s Summer of Code in Space 2019 (ESA SOCIS). Now it is up to you to decide if you want to code open-source space with us during ESA Summer of Code in space 2019? You should! Be our Summer Student and code your open-source space projects. You get stipends of up to 4000€. The Call for ESA SOCIS 2019 is now open! Together, we as AerospaceResearch.net, Ksat-Stuttgart (University of Stuttgart) and EP2Lab (Carlos III University of Madrid) are proud to be selected as official mentoring organizations for the ESA Summer of Code in Space 2019. And we are now looking for students to spend their summers coding on great open-source space software, getting paid by ESA, releasing scientific papers about their projects and supporting the open-source space community by useful programmes. Are you a student? You have time until May 4, 2019, to apply for various coding ideas to work on, and be part of out team! 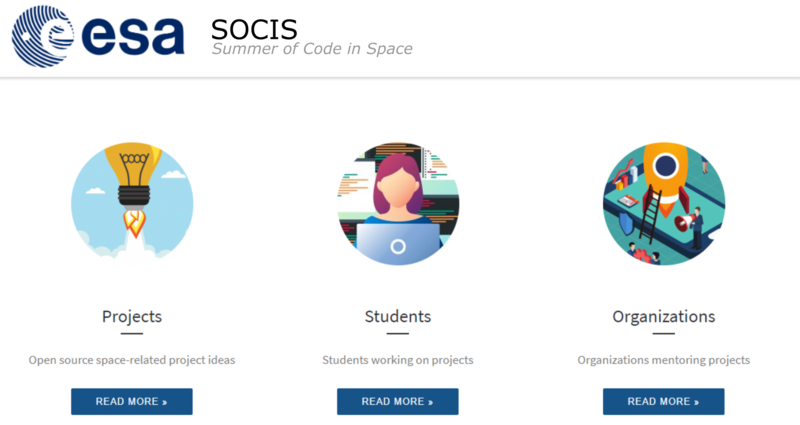 ESA Summer of Code in Space (SOCIS) is a program run by the European Space Agency that focuses on bringing student developers into open source software development for space applications. Students work with a mentoring organization on a 3 month programming project during their summer break. Through SOCIS, accepted student applicants are paired with a mentor or mentors from the participating organizations and with experts from ESA (where available), thus gaining exposure to open source software development and insights from ESA. In turn, the participating organizations are able to prototype new open source projects and possibly bring in new developers to work on relevant topics for space. improve existing space-related open source software. 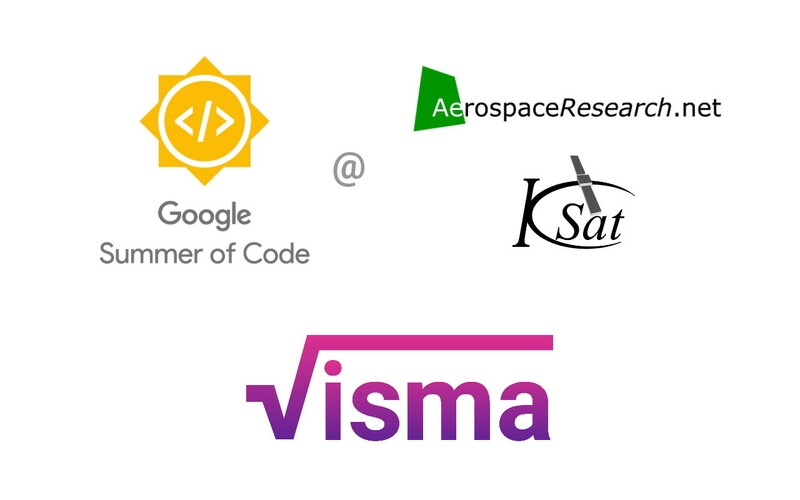 Again for the 5th time, AerospaceResearch.net is proud to be selected as an official mentoring organization for the Summer of Code 2019 (GSOC) program run by Google. And we are now looking for students to spend their summers coding on great open-source space software, getting paid up to 6600 USD by Google, releasing scientific papers about their projects and supporting the open-source space community. During the Google Summer of Code 2018 Mentors Summit, many projects used the open-source Zulip Chat for discussing their projects and planning their next steps. It is a fine little chat in the spirit of Slack, but fully open-source. Autor hornVeröffentlicht am 25. Dezember 2018 Schreibe einen Kommentar zu We have a ZulipChat now. Join us there! It is time again for Hacktoberfest 2018! It is time again for Hacktoberfest and we already took part in it with our projects and earned our free t-shirt already. On the 20th of October, we started projects during NASA Space Apps Challenge Stuttgart 2018 and collaboratively worked on open-source projects and created pull-requests. The goal Hacktoberfest was and still is that everyone create at least 5 pull-requests by adding new features or fixing bugs to the software projects and earning a free and limited edition t-shirt by doing so. Hacktoberfest is from 1st to 31st of October 2018. The hackathon was great, but the Hacktoberfest is still not over. You can start coding your improvements to your own or other people’s projects right now and we would be more than happy if we see your pull-request popping up on our github repository! 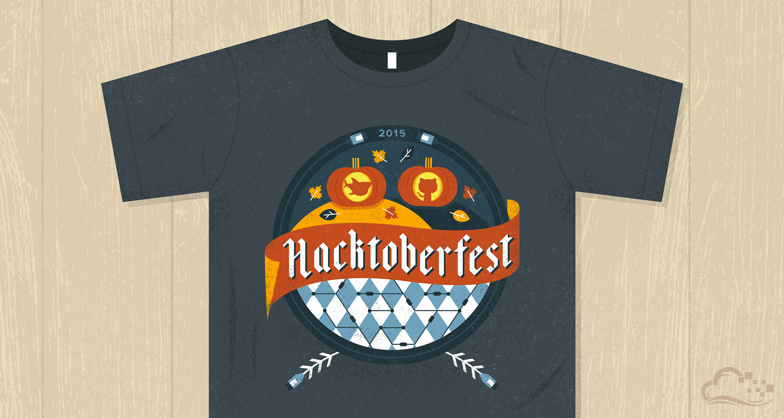 Start earning your hacktoberfest shirt today, and never stop coding for open-source software! Autor hornVeröffentlicht am 22. Oktober 2018 22. Oktober 2018 Schreibe einen Kommentar zu It is time again for Hacktoberfest 2018! This Saturday, join the next NASA Space Apps Challenge 2018 hackathon in Stuttgart. For the fifth time your team of engineers, hackers, makers and artists will solve global problems during the biggest hackathon event on this planet (20. & 21. October 2018) and you have the possibility to join! During the last space apps, the Stuttgart teams were regularly among the final 25 projects out of 900 projects in various categories. For this year’s open-source topics NASA selected challenges all about “Earth and Space”. Please register for Stuttgart today to be part of this great space community, find your challenge to tackle, win awesome prizes and maybe start your space start-up. Take this chance. NASA will bring together more than 20000 people at more than 200 locations and your project could make a change! registration is open on SpaceAppsChallenge.org. limited amount of places, so please be fast and register your slot today! During GSoC 2018, I worked on developing a ra/dec angles-only Keplerian orbit determination implementation for AerospaceResearch.net’s orbitdeterminator project. Our implementation incorporates both elements from the Gauss method for orbit determination, as well as from the least-squares principle. I did this both for Earth-orbiting bodies (satellites, space debris, etc. ), and Sun-orbiting bodies (asteroids, comets, centaurs, etc.). My implementation makes use of the astropy library, whose SkyCoord class provided the adequate abstraction in order to perform the required computations. astropy was also really useful for handling of units, angles, longitudes, etc., as well as providing access to the SPK kernel of JPL ephemerides DE432s, which are at the core of the orbit determination for Sun-orbiting bodies. Also, the poliastro library was useful for the evaluation of Stumpff’s functions in order to perform the refinement stages of the Gauss method. Finally, scipy’s functionality allowed the use of the Levenberg-Marquardt method for the least-squares fit to ra/dec observations. The pull request associated to my GSoC project is in GitHub at: aerospaceresearch/orbitdeterminator PR #141. My GitHub handle is @PerezHz . You can also find me on Twitter as @Perez_Hz. 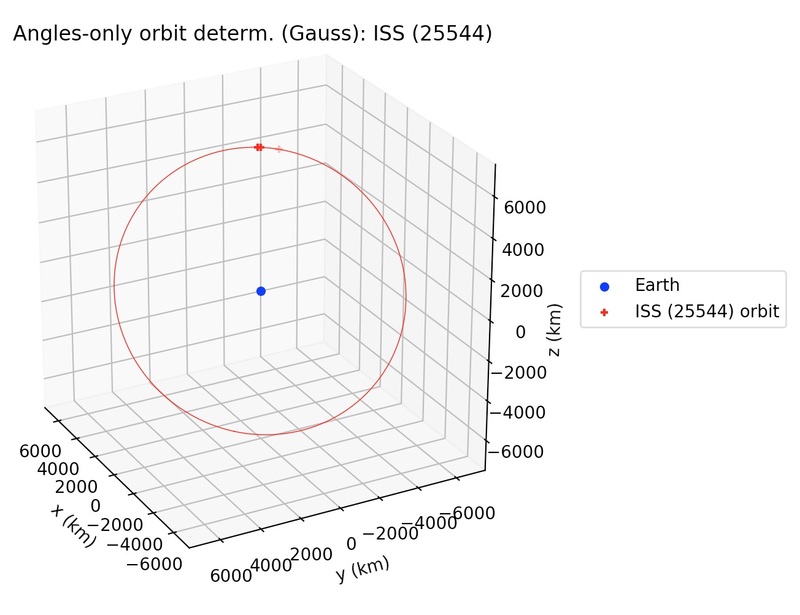 The orbitdeterminator/kep_determination/gauss_method.py module allows the user to input files which contain ra/dec observations of either Earth-orbiting or Sun-orbiting celestial bodies, following specific formats for each case, and allows to compute an orbit from n>=3 observations. If the number of observations is n==3, then the Gauss method is applied to these 3 observations. Otherwise, if n>3, then the Gauss method is executed over n-2 consecutive observation triplets. A set of orbital elements is computed for each of these triplets, and an average over the resulting n-2 set of elements is returned. A refinement stage has been implemented for the Gauss method such at each iteration of the refinement stage, a better approximation for Lagrange’s f and g functions are computed; which in turn allows to get better estimates for the cartesian state of the observed body. The right ascension and declination observations topocentric, i.e., they are referred to registered sites either by the MPC or COSPAR. The information about the geocentric position of these sites is contained in registered lists. Both the IOD and MPC formats contain the alphanumeric codes associated to each observation site, so that for each observation it is possible to compute the geocentric position of the observer. This whole process is automatically processed during runtime in the background, so the user does not need to worry about these details. Where filename refers to the name of the file which contains the observations in IOD-format, bodyname is an user-defined name for the observed object, obs_arr is a list/array of integers which define the numbers of the lines in the observation file filename which are going to be processed, r2_root_ind_vec allows the user to select the roots whenever multiple solutions to the Gauss polynomial exist (default behavior is to select always the first root), refiters is the number of iterations for the refinement stage of the Gauss method (default value is 0), and plot is a flag which if set to True will plot the orbit of the object around the Earth. More details may be found at the examples and the documentation. The orbital elements are returned, respectively, in kilometers, UTC seconds and degrees, and they are referred to the (equatorial) ICRF frame. More details may be found at the examples and the documentation. The gauss_method_mpc function computes Keplerian elements from ra/dec observations of an Earth-orbiting body. The call signature is practically same as gauss_method_sat (see section 3.1). One of the differences with respect to the Earth-orbiting case is that in this case the orbital elements are returned, respectively, in astronomical units, TDB days and degrees. But the main difference in the internal processing is that in this case, since the orbit is referred to the Sun, then the position of the Earth with respect to the Sun has to be determined at each of the observation times. gauss_method_mpc uses the JPL DE432s, as provided by the astropy library, in order to compute the heliocentric position of the Earth. 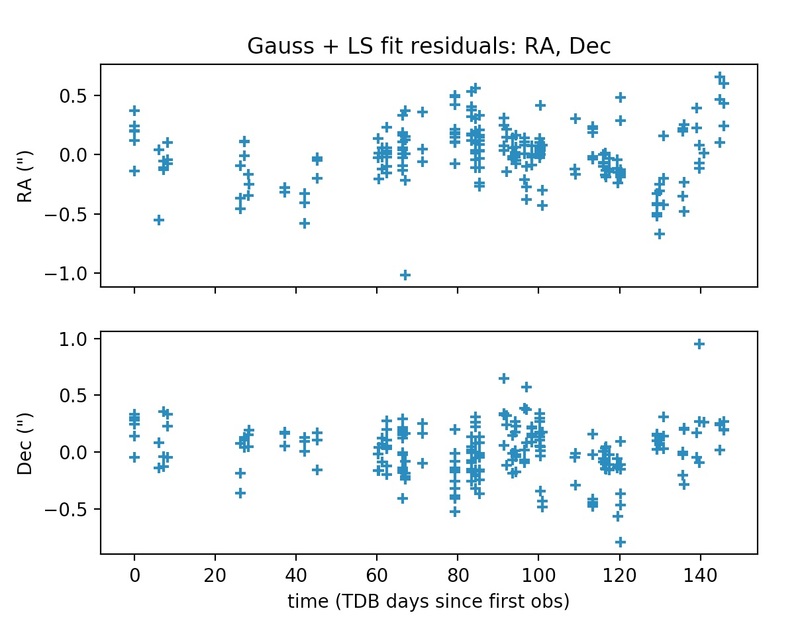 This also involves a conversion from the UTC to the TDB time scale, which is also handled again using astropy’s time scale conversion functionalities. Finally, a third difference is that Sun-orbiting orbital elements are returned in the mean J2000.0 ecliptic heliocentric frame. More details may be found at the examples and the documentation. 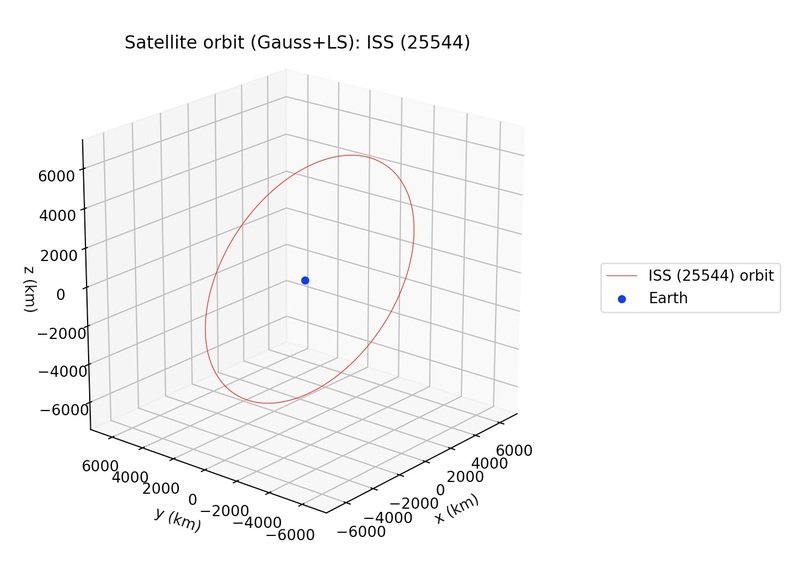 The least-squares functionality developed during my GSoC project may be thought of as differential corrections to the orbits computed by the Gauss method. 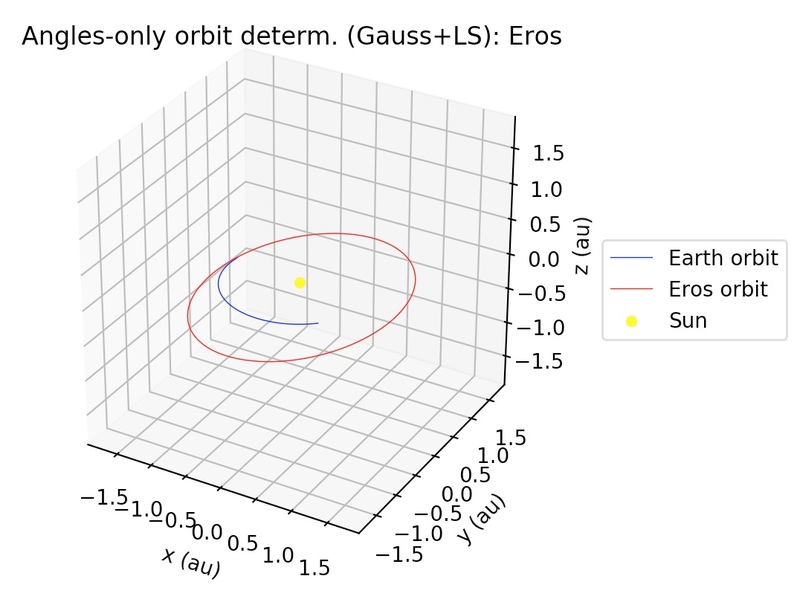 That is, once a preliminary orbit has been determined by the Gauss method, then the best-fit of the observations to a Keplerian orbit in terms of the observed minus computed residuals (the so-called O-C residuals) may be found by a least-squares procedure. It is worthwhile to mention that in the current implementation all the observations have the same weight in the construction of the O-C residuals vector. 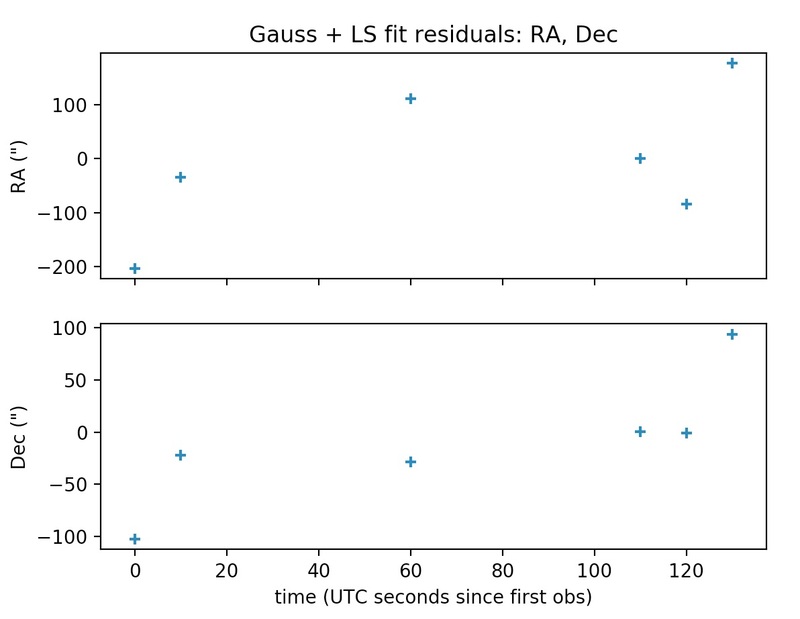 Similar to gauss_method_sat in call signature, but after applying the Gauss method to the subset of the observations defined by obs_arr, this function applies a least-squares procedure to the whole set of observations (unless otherwise selected by the user using the optional argument obs_arr_ls; see documentation), returning the Keplerian elements of the best-fit to the observations. Orbital elements are returned in kilometers, UTC seconds and degrees, and they are referred to the (equatorial) ICRF frame. More details may be found in the documentation and the examples. Similar to gauss_method_mpc in call signature, but after applying the Gauss method to the subset of the observations defined by obs_arr, this function applies a least-squares procedure to the whole set of observations (unless otherwise selected by the user using the optional argument obs_arr_ls; see documentation), returning the Keplerian elements of the best-fit to the observations. Orbital elements are returned in astronomical units, TDB days and degrees, and they are referred to the mean J2000.0 ecliptic heliocentric frame. More details may be found at the examples and the documentation. We wish to thank the satobs.org community, who gave us valuable comments and suggestions, and also provided us with observations of the ISS and other civilian satellites. We also wish to thank the Mathematical Physics group at the University of Pisa, for all the helpful discussions and feedback which contributed to this work. Allow the user to select ephemerides from astropy: currently, the user is not allowed to specify the ephemerides to be used in the orbit determination of Sun-orbiting bodies. 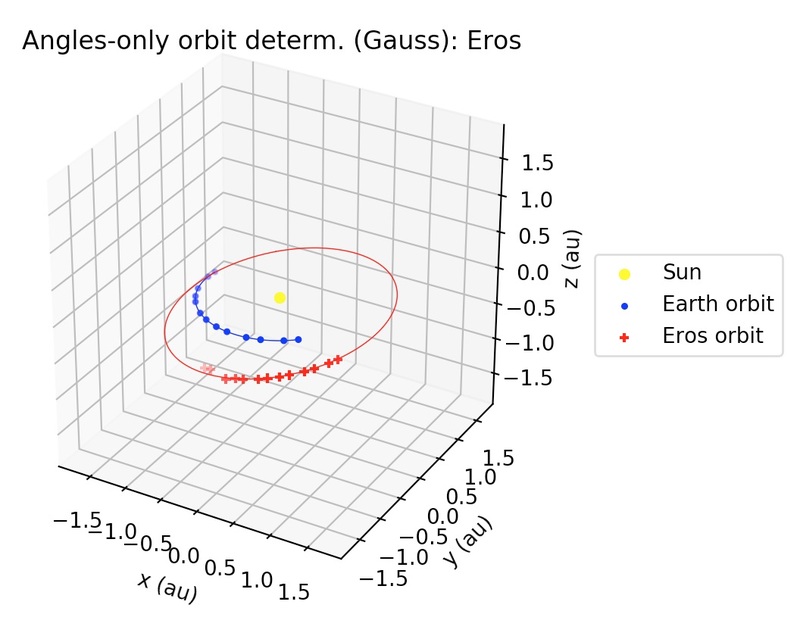 Add perturbations: for Sun-orbiting bodies, add planetary and non-gravitational perturbations; for Earth-orbiting bodies, add oblateness and atmospheric drag to orbit model. For IOD-formatted files, allow the use of other „angle subformats“. There are actually 7 ways to codify the angles in IOD format, but currently the code only allows the angle subformat 2. Subformat 2 was chosen because it is the most used in the Satobs community. Some of this subformats involve alt/az measurements, so in a future version the code should know how to handle alt/az measurements in addition to ra/dec measurements. This could be done, e.g., by using the (alt, az) -> (ra, dec) conversion functions from the astropy library. Implement orbit determination algorithms for SDP/SGP4 models from ra/dec measurements. Let the user choose between two possible values for the signed difference between two angles, instead of always choosing the shortest signed difference by default. Add support for new or non-listed observatories in the MPC or the COSPAR lists of registered observatories. Take into account the finite light propagation time, as well as atmospheric refraction. Add support for radar delay/Doppler observations of Sun-orbiting bodies. Add support for non-equal weights in least-squares subroutines.